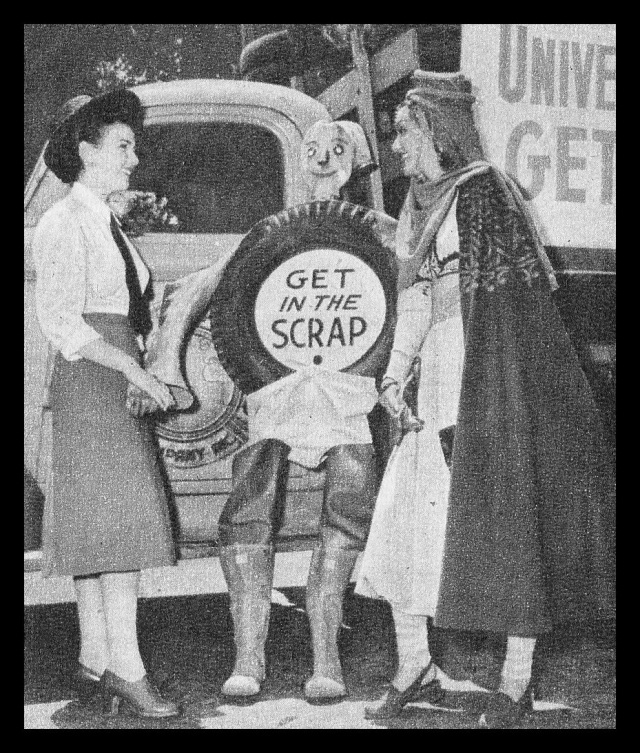 DEANNA DURBIN CERTAINLY DID HER PART IN HELPING THE WAR EFFORT. 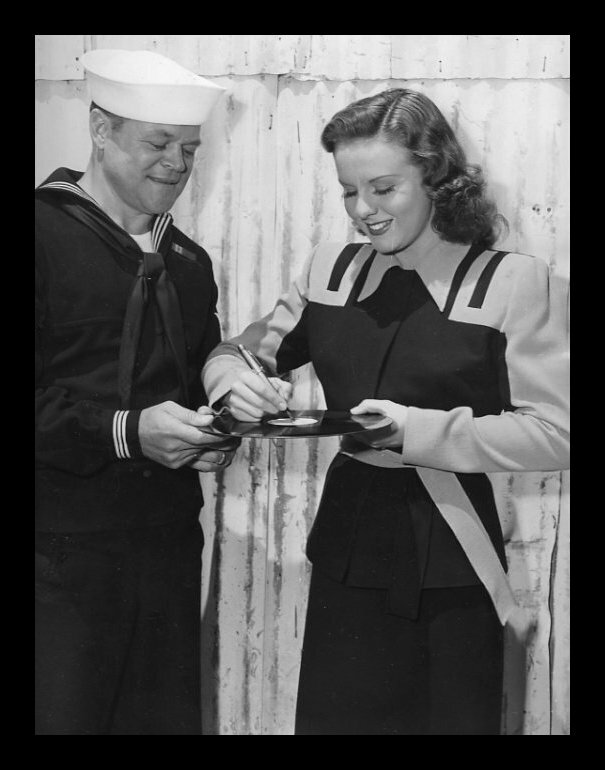 The Hollywood Canteen operated at 1451 Cahuenga Boulevard in Hollywood, California from 3 October, 1942 until it closed its doors on 22 November, 1945 after almost 3 million visitors. The club offering food, dancing and entertainment for servicemen, usually on their way overseas. 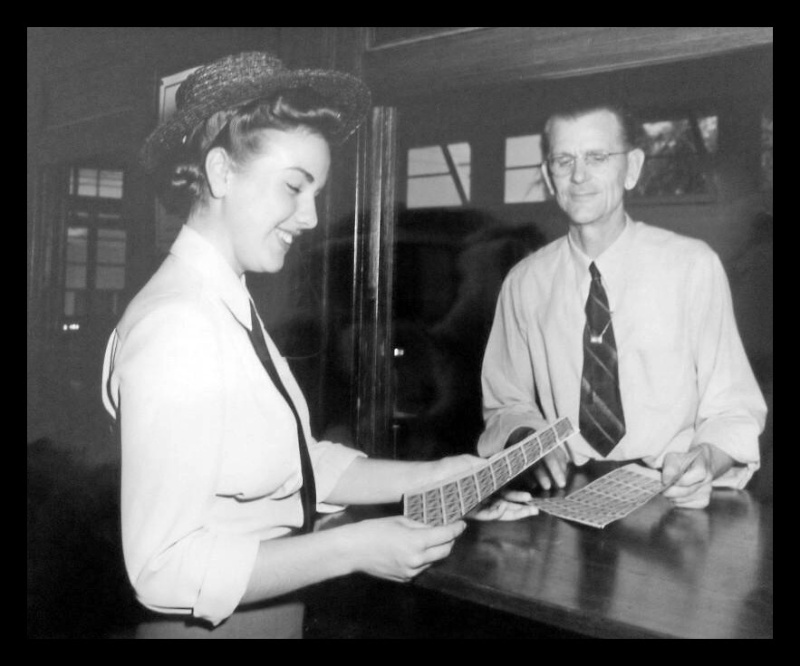 Even though the majority of visitors were U.S servicemen, the Canteen was open to servicemen of allied countries as well as women in the service. The serviceman's ticket to admission was his uniform and everything at the Canteen was free of charge. The driving force behind its creation were Bette Davis and John Garfield along with composer Jules Stein, President of Music Corporation of America, who headed up the finance committee. 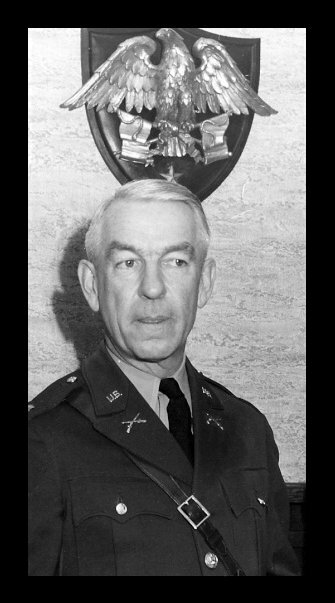 Davis devoted an enormous amount of time and energy to the project and served as its president. The cost of materials for the renovations and the labour was all donated by members of the various guilds and unions of the entertainment industry. The Canteen was operated and staffed by volunteers from the entertainment industry including our very own Deanna Durbin. She was such a hit with the servicemen at the Canteen, that even her cousin couldn't reach her when he paid a visit! Deanna said: "I wish I could say that I danced at the canteen, but you could never call it dancing. I am yanked from one pair of arms to another and the orchestra is very loud and I try so hard to have conversations - and then someone else cuts in and you begin all over again." 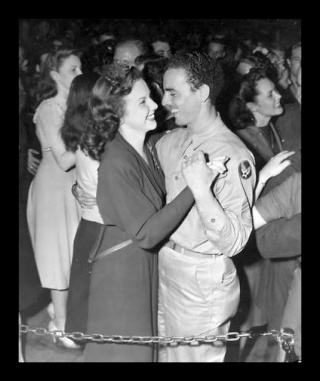 Deanna Durbin danced with this soldier who had lost both legs in a terrible South Seas battle. He was so uncertain about his ability to navigate his artificial limbs that he balked at first. After two dances with Deanna, he said, "If I can dance with Deanna Durbin, I can dance with the world." 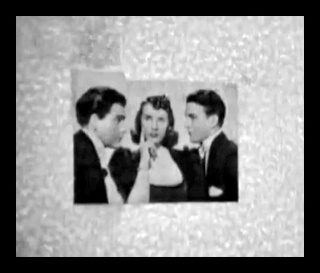 Deanna Durbin cut little pieces of a dress she wore in IT'S A DATE to send to soldiers overseas as souvenirs. INTERESTING NOTE: Deanna Durbin and Charles Laughton had just finished making the film IT STARTED WITH EVE. 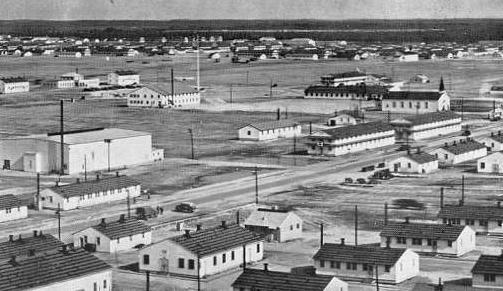 The United States had not entered the War as yet, but a small group of British soldiers had been sent to California for training. 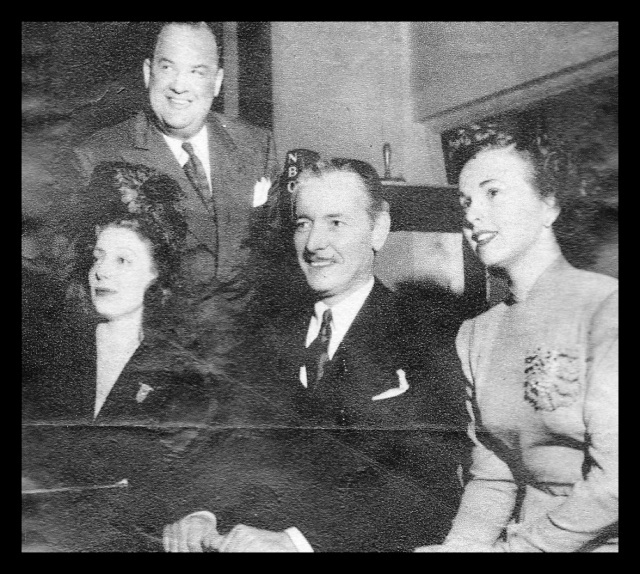 Laughton and his wife, Elsa Lanchester, two of the most prominent members of Hollywood's "British Colony," held a reception for them just before they were due to be shipped out. Laugthton contacted Deanna Durbin at the last minute to ask if she could attend and she happily accepted. Deanna sat on a piano and sang for hours, then danced and chatted with as many of the British soldiers as she could. A Private from Harding Field, Louisiana, Attachment 49th Air Base Squadron, Company "E" wrote "Do you know that you are an inspiration to six soldiers in the U.S. Army Air Corps?" The boys described a "terrible incident" in which a wind storm blew down the cherished photo of Deanna which resulted in "a shattered glass frame and six shattered hearts!" The six privates signed their names beneath the letter. 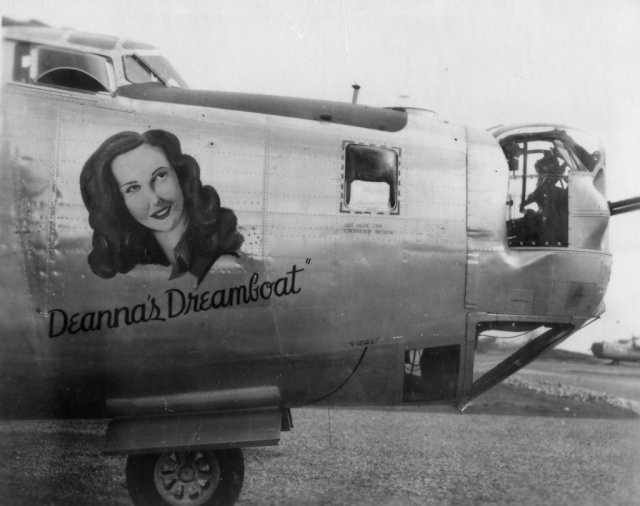 Deanna sent them a new portrait to the "downcast" airmen. A soldier from England wrote "You epitomise everything that is missing from my present existence: Sincerity, tenderness, music, and laughter. When I tell you that I am a tank driving instructor in the British Army, perhaps you can imagine how - after a day of struggling with one of those filthy lumbersome beasts through seas of mud - it is just a little piece of Heaven to be able to visit the garrison cinema, see you and feel the sweetness and peace which surrounds you." A Private wrote "I am a medical soldier in the South Seas war. The other night, with a makeshift screen and seats of mounds of white coral, we saw IT'S A DATE against a tropical sky. We are fighting a war and we believe it is for the preservation of all that is represented in the picture. It is worth it all." From Syria, four English soldiers wrote to tell Deanna of their travels and their admiration: "We have an old battered gramaphone here in the camp and a few of your popular records. When we play them of a night in our tent and the liquid notes of your golden voice float through the olive trees of this strange land, the noise of the camp is hushed as the boys all stop to listen. Many a heart is stired and many eyes are dimmed with tears, as they think of their former homes when they listened to your voice in happier surroundings." 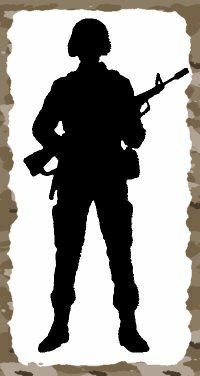 A Private wrote he was a truck driver with a machine gun battalion of the Australian Imperial Forces somewhere in the Libyan Desert. He told Deanna that he named his truck after her because "the engine sings that sweetly that I decided to name the truck 'Deanna' after you." 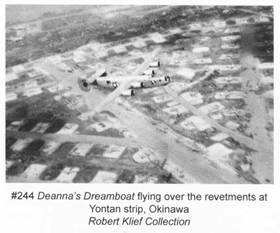 FIRST MISSION: 12 APRIL, 1945. Deanna Durbin was on the front cover of the January 1945 edition of Yank - a popular army magazine. 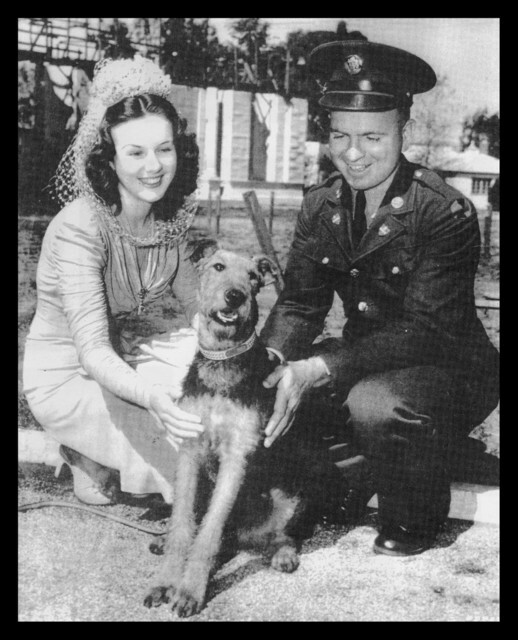 On the 6th of March, 1941, Deanna Durbin presented Private Everett Scott of Fort Ord a 6 month old Airedale dog called Mickey as a replacement for his previous pet Laddie who had died of a broken heart. 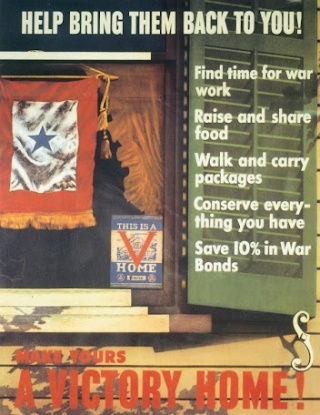 In 1937, the Canadian Legion of War Veterans, Post No. 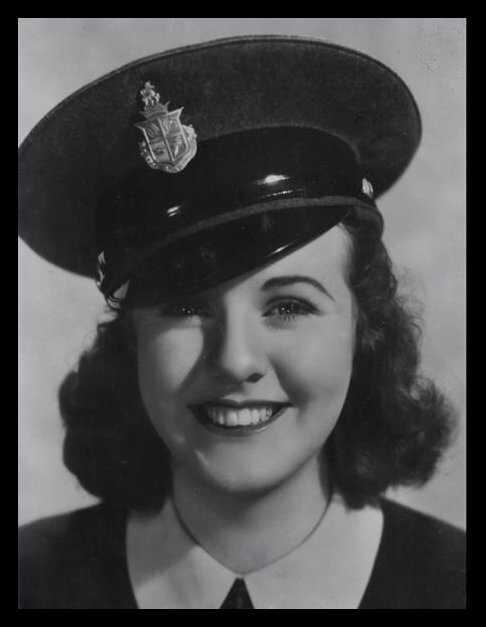 40, appointed Deanna Durbin as honorary Colonel. 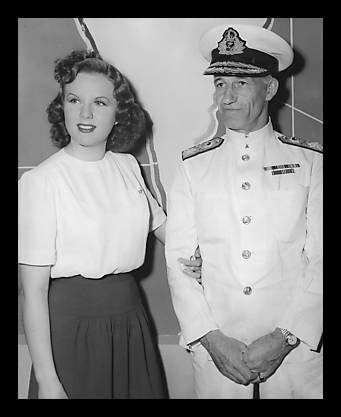 Commander Edgar Butler came to Hollywood to make the presentation to Deanna and said to her: "You'll never lead a regiment into battle, but you'll lead a nation into song and that's a greater step toward peace!" 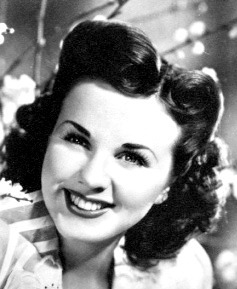 Songs by Deanna Durbin were used by the Japanese to help capture Hong Kong during WW2. 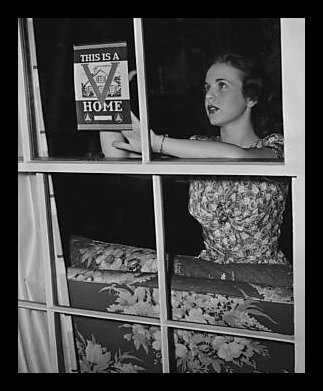 According to a British officer who had escaped Hong Kong following its capture, the Japanese had set up loudspeakers in Kowloon, across a narrow stretch of water from Hong Kong and had played records of Deanna Durbin singing Home, Sweet Home and The Old Folks At Home. The purpose was to make the defenders lonesome and willing to give-up! The Japenese people loved Deanna Durbin movies. It was reported that a Japanese POW, who was captured in Guadalcanal, had a photo album with him. In the middle of the album, on a page especially decorated, was a lone portrait of the beautiful Deanna Durbin! 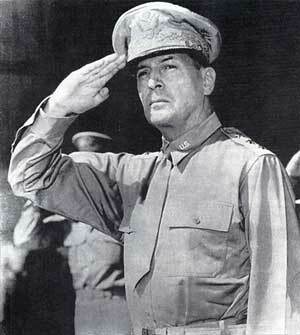 It's interesting to note that HIS BUTLER'S SISTER was the very first American movie that General Douglas MacArthur and the American Occupation Committee permitted to be shown in Japan. It was hugely popular, not only because of Deanna, but because the war had caused many old Japanese traditions to erode, including those against public displays of affection, and the Japanese people liked to watch the movie to look at the kissing scenes. 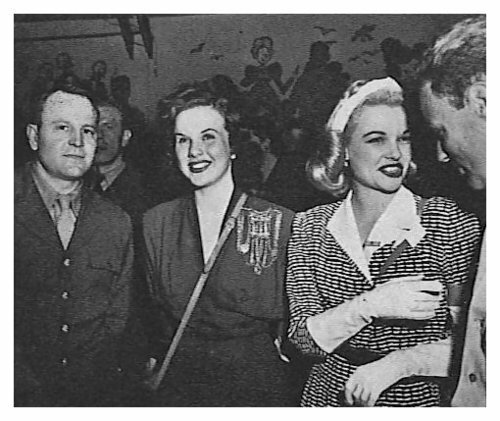 Deanna Durbin and many other celebrities appeared in the motion picture industry's concert for Greek War Relief. 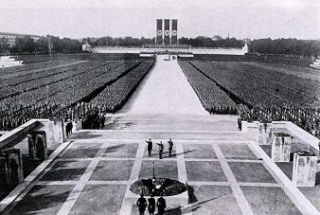 The event was held on the 25th of February, 1941, at the Shrine Auditorium. 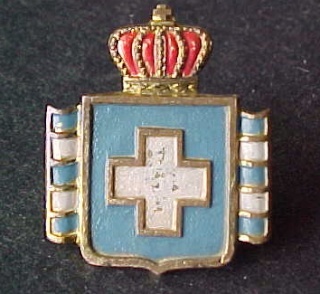 The Greek War Relief Association was chaired by Archbishop Athenagoras and Spyros Skouras. 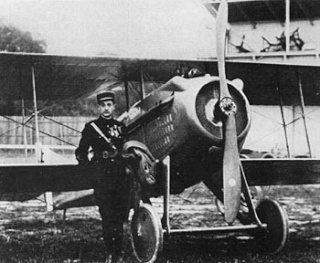 It was formed in October 1940 within two weeks of the invasion of Greece. The goal of the association was to collect ten million dollars to procure foodstuffs, medical supplies and clothing. 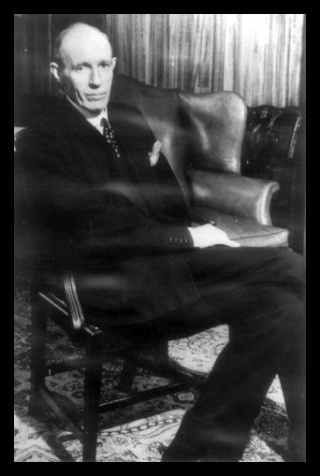 Mr. Skouras visited numerous Greek communities to urge the formation of local War Relief committees and by the 20th of November, 1940, over 300 local committees had been established. During the next five months $3,336,700 was cabled to Greece for the purchase of ambulances, the building of bombproof shelters, the setting up of soup kitchens, and to give financial assistance to the families of slain soldiers. The program functioned two and one half years and resulted in the shipment of more than 700,000 tons of food, clothing, medical supplies and other vital commodities, which were valued in excess of one hundred million dollars. 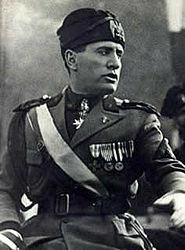 In 1941, Italian fascist dictator Benito Mussolini published an open letter to Deanna Durbin in his official newspaper, "Il Popolo", asking her to intercede with President Franklin Roosevelt on behalf of American youth to convince him from becoming involved in WW2. Deanna ignored his request! In the past we always had a soft place in our heart for you. However, today we fear that you, like the remainder of American youth, are controlled by the President and perhaps tomorrow will see fine American youth marching into battle in defence of Britain. If this is so, you don't yet know how hard life will be for the youth of tomorrow. Why doesn't American youth break the chains which are blindly dragging the entire nation into a war in which it will be defeated? To be able to gnaw the Axis, steel-tough jaws are necessary and not rosy ones used to chewing gum. If you only knew how good and beautiful are the children of Rome and Berlin and how much poetry there is in the youth of Europe, then you wouldn't listen to your and our enemies. 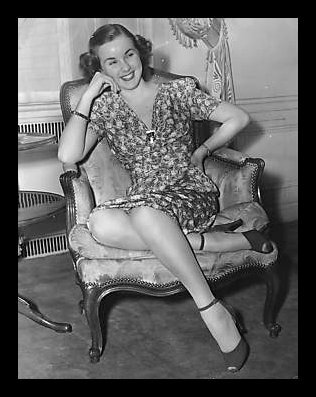 During WW2, Deanna Durbin was very popular in England. 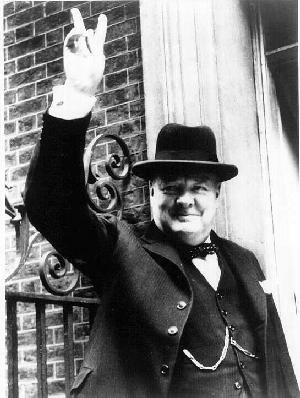 She was Winston Churchill's favourite actress. He would celebrate the many British military victories with screenings of her movies and his favourite was 100 MEN AND A GIRL. Churchill described Deanna as "a formidable talent." 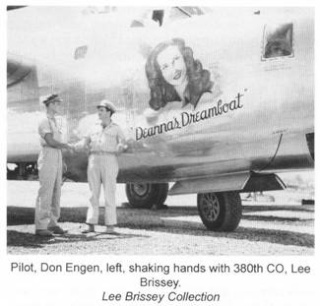 On the 10th of May, 1937, General Walter Storey commissioned Deanna Durbin an honorary captain of the 160th Infantry California National Guard. 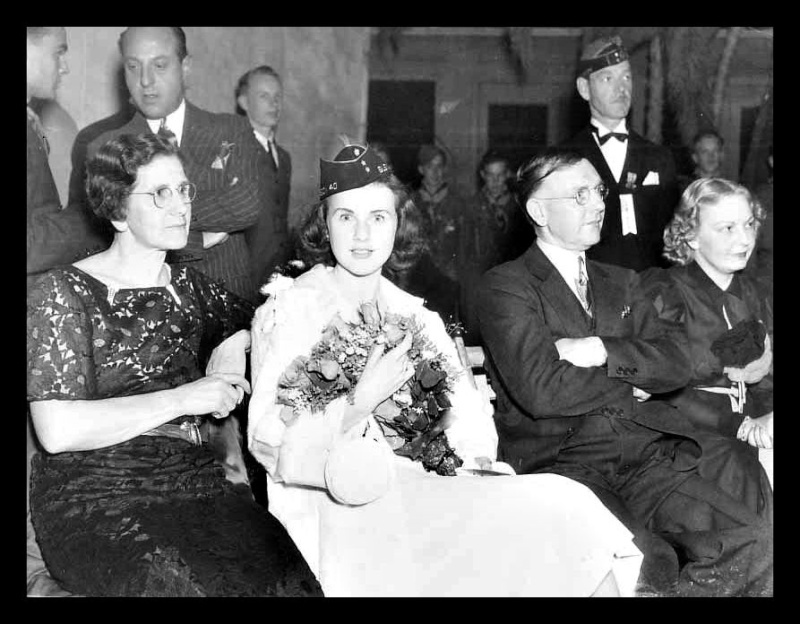 In June, 1939, the Guynemer class of cadet officers of the French Air Force School at Salon selected Deanna Durbin as their honorary godmother. 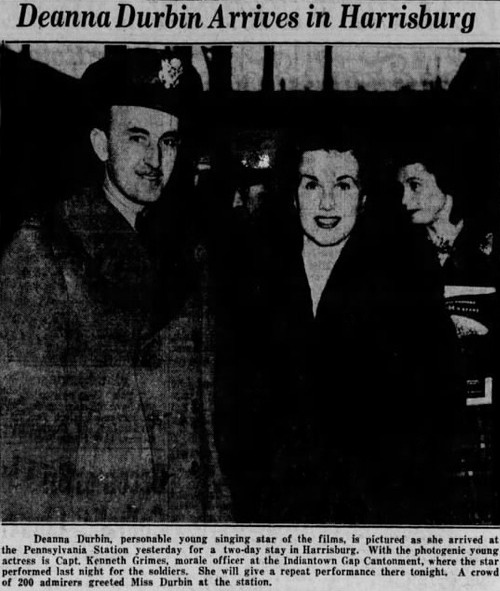 Deanna Durbin was made an honorary member of the American Legion. 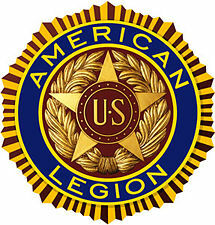 The American Legion is an organization of veterans of the United States armed forces who served in wartime. 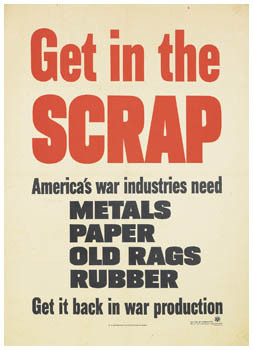 The Organization was founded in 1919 by veterans returning from Europe after WW1. Its headquarters are in Indianapolis, Indiana. 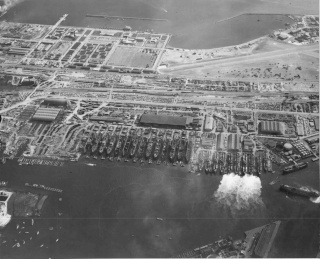 On the 21st of September, 1943, Deanna Durbin broke a bottle of champagne on the tanker "James Cook" at Terminal Island. The tanker was the 262nd Liberty Ship launched by the California Shipbuilding Corporation which played a major role in the war effort. 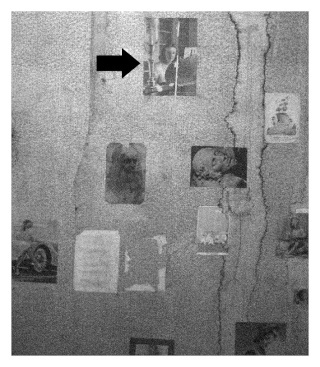 Anne Frank pasted pictures of Deanna Durbin to her bedroom wall in the Achterhuis where the Frank family hid during WW2. 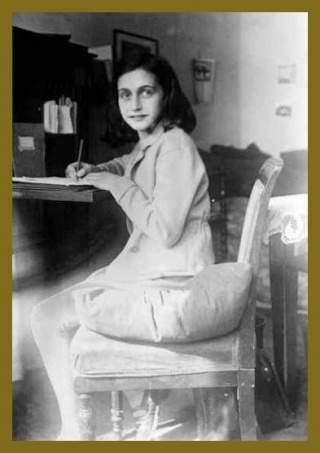 One of the pictures can still be seen there today, and was pointed out by Anne's friend, Hannah Pick-Goslar in the documentary movie ANNE FRANK REMEMBERED. 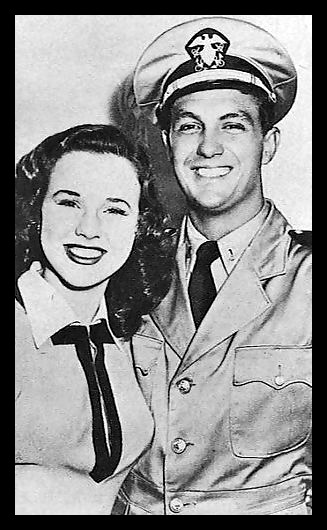 Anne's own real friendship with Peter Schiff was influenced by FIRST LOVE in which Deanna Durbin and Robert Stack had that famous first kiss. In the late 1930's & early 1940's, Deanna Durbin was the most popular movie star in the world, but her films were banned in Germany by the Nazi Party. Not surprising considering Deanna represented individuality, independence, happiness, and consideration for others! 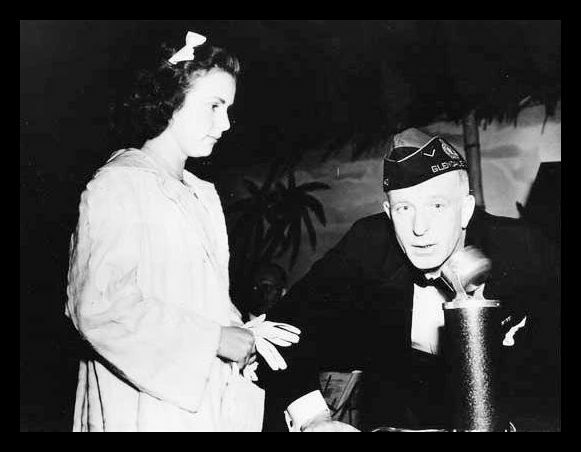 On 14 December, 1941, Deanna Durbin accepted an invitation from the British Ambassador, Lord Halifax to entertain troops and war workers in England. Deanna said: "If I can help in the war effort, even in this small way, then I shall feel well repaid." In 1943, Kurt Hoffman of Adams House at Harvard University won a contest to see who could purchase the most War Bonds and War Stamps. Deanna Durbin promised to write him a personal letter because of his excellent effort! 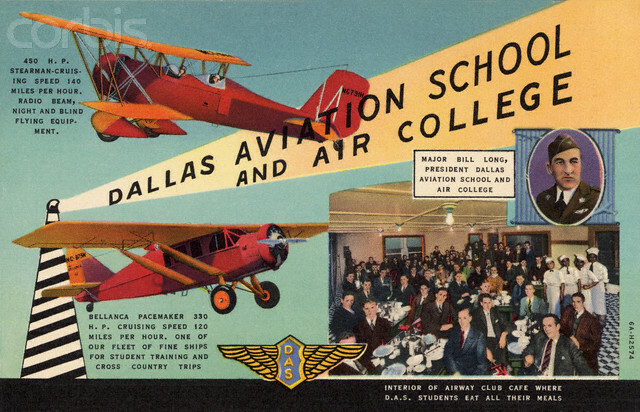 In 1941, Deanna Durbin was made an honorary colonel in the Air Corps and given a pair of wings by the Dallas Aviation School and Air College. 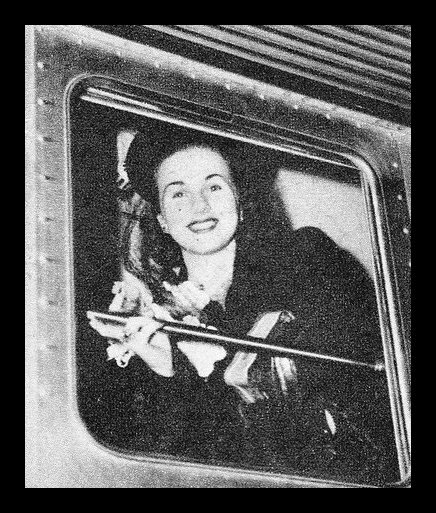 In early 1942, as part of her duties as a member of the Hollywood Victory Committee, Deanna Durbin boarded a train and headed east for a five week tour with a special vauderville unit to the army camps which included Camp Edwards and Fort Devens (Massachusettes); Fort Monmouth and Fort Dix (New Jersey); Fort Belvoir (Virginia); Fort Indiantown Gap (Pennsylvania); and Aberdeen Proving Ground (Maryland). 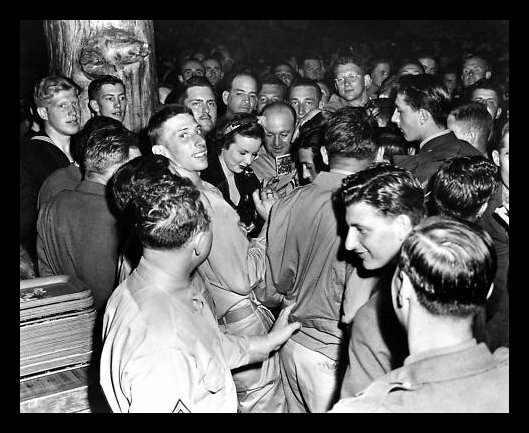 During the tour of the camps, the soldiers made it clear they were very happy to see Deanna. They would stick "Welcome Deanna" posters on the mess hall walls. They had cakes baked and decorated with the regimental colours with her name. 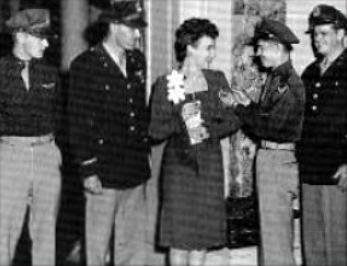 They presented her with their insignia and flowers. Many of them walked long distances from their barracks just to see Deanna perform at these entertainment events which included the U.S.O. sponsored "Razzle-Dazzle" show which played 3 nights at the Connery Avenue Theatre at Camp Edwards. Some of the boys were shy at first. To break down the barriers, Deanna would spend afternoons in the service clubs, eat with them in the mess halls, and serve them their meals. To keep the shows informal, she wore prints instead of evening gowns, announced her own songs, talked to them from the stage the same way she would talk to a group of friends. Deanna would normally sing 10 songs. She kept them light - nothing classical or too patriotic. The boys were there to have fun and that's what she tried to give them. They would stamp and yell when she announced Amapola or Embraceable You. While she was singing, you could hear the proverbial pin drop. After her performance, she would be so full of emotion, she would weep! "They seemed so happy, and I felt just the opposite. You do so little and they think it's wonderful, and the whole thing's out of proportion." 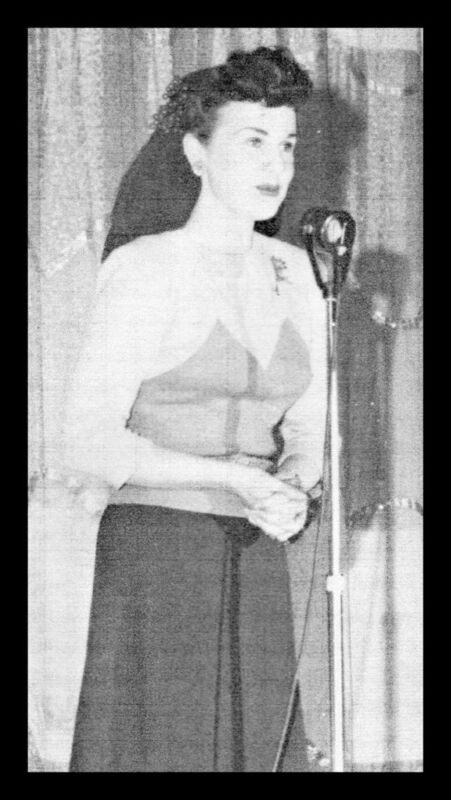 Deanna Durbin performing at Fort Indiantown Gap in a show called "Eight Hundred Men and a Girl." 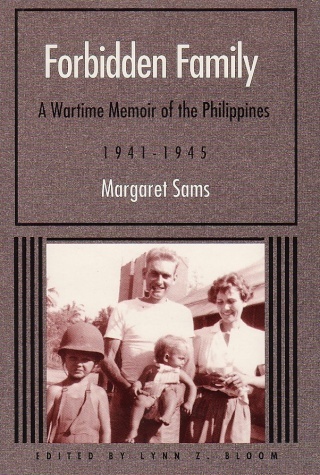 During WW2, Margaret Sams and other Americans were captured by the Japanese in the Philippines. They were placed in a camp (Santa Tomas University, Manila) where they lived under terrible conditions. During her time of imprisonment, Margaret wrote of her experiences and eventually published a book called "Forbidden Family." 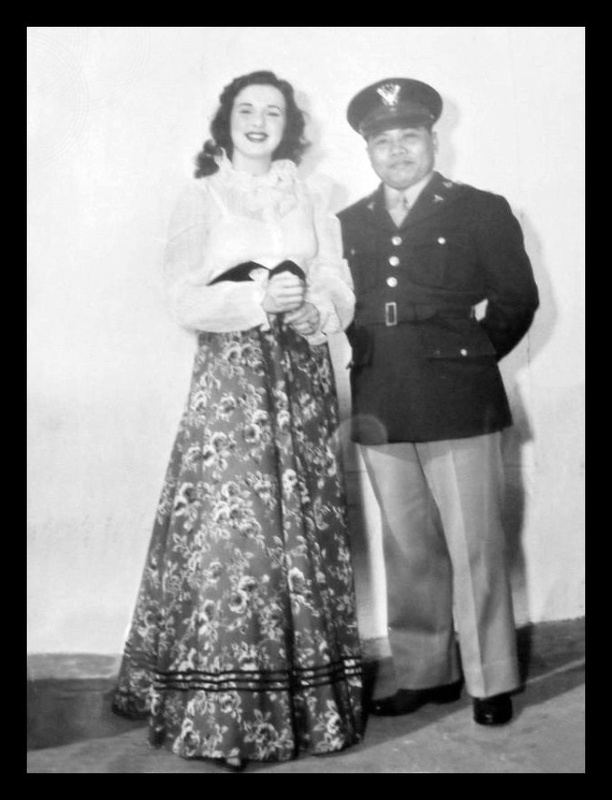 The Japanese tried in every way to intimidate and demoralize the prisoners as is seen in the following account: When the war started, Deanna Durbin was at the height of her career. One morning, the prisoners read with great sorrow that Deanna had died a horrible death when she was giving birth to a child. All the prisoners felt as if someone near and dear to them had died and the whole camp mourned her death. Because the prisoners felt so strongly about Deanna, they decided to hold a memorial service for her. The Japanese did not allow the prisoners to have radios so information from the outside world would not filter in, but a makeshift radio was secretly made which was able to receive news from San Francisco. 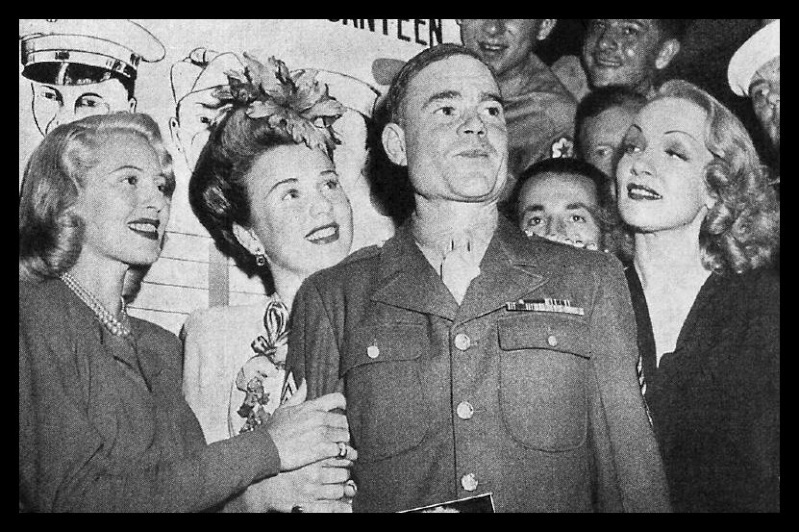 In late 1944, a prisoner (Jerry Sams) was listening to the news, when all at once he jerked his headphones off and hissed at Margaret. He put his headphones on her and she heard the following: "Good evening ladies and gentlemen, this is Deanna Durbin speaking to you. I am dedicating this evening's music to the women of the Philippine Islands." And then Deanna (who the prisoners thought was dead for almost three years) began to sing! Margaret could hardly keep from shouting the wonderful news from the rooftops, but she dared not tell a soul. The camp was liberated on the 23rd of February, 1945 which was the greatest day of the prisoner's lives. 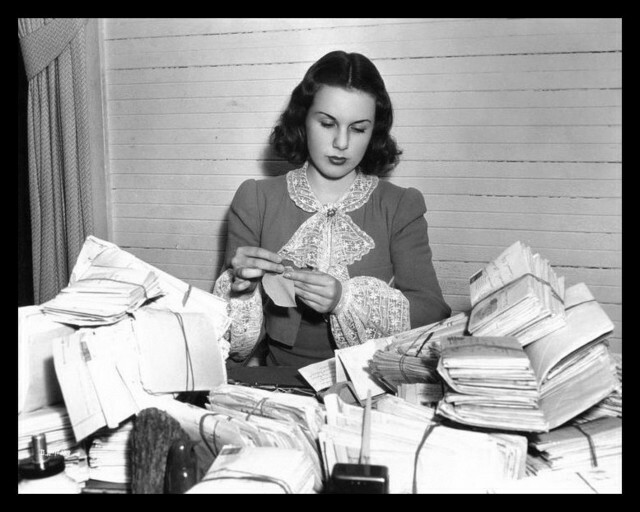 In 1997, Margaret wrote to Deanna Durbin to tell her what had happened in the camp. "Your letter told me so beautifully of your feelings...now, I shall try and tell you mine. To start with, there were tears. Then a sort of overwhelmed happiness that you managed to contact me and that after all these many years I am able to keep and cherish your letter with its fabulous happy ending! Could you, would you send me a copy of 'Forbidden Family?' It was written by someone whom I consider a very dear friend."